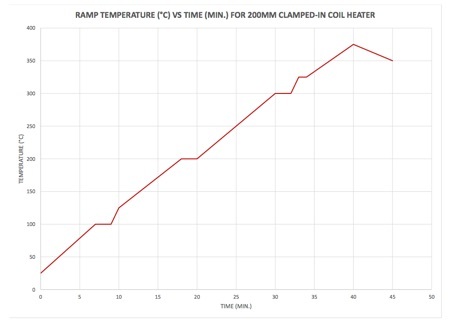 The Clamped-In Coil Heater provides excellent temperature uniformity of +/-1.5°C @ 350°C (see Ramp Temperature vs Time graph for more details). 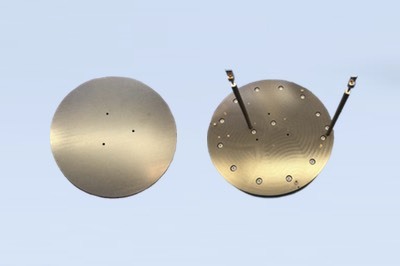 The 200mm unit in its present form factor was designed by BCE and is responsible for semiconductor wafer processing of 2um dielectric layers evenly across 150mm and 200mm silicon substrates. Both sizes of wafers rest directly on top of the hard clear anodized surface. There are no signs of any patterning in the 2um dielectric layer on the silicon wafer that typically occurs with other heater chucks. 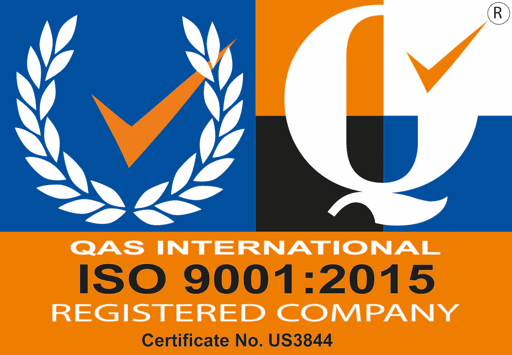 Moreover, this is achieved without brazing or casting, lowering the cost and delivery time for your prototype. Available in multitude shapes and sizes. Staked-in heater technology prevents the need for brazing/casting. 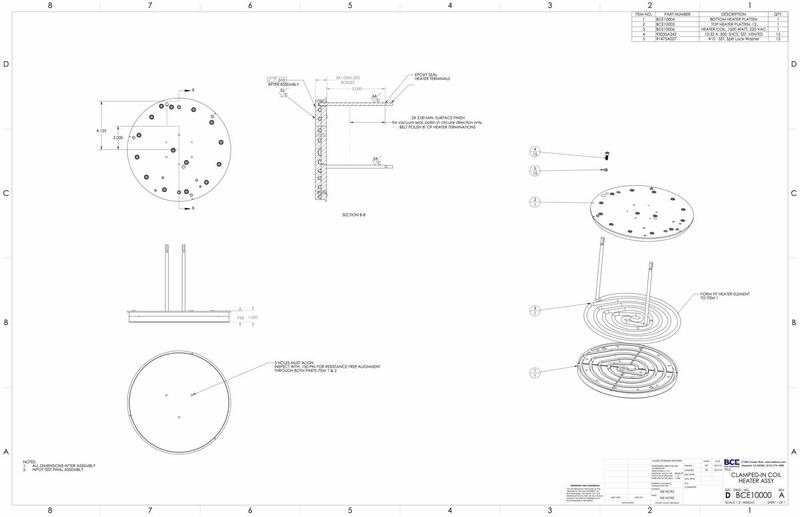 Integrated sensors including thermocouples and RTD's.